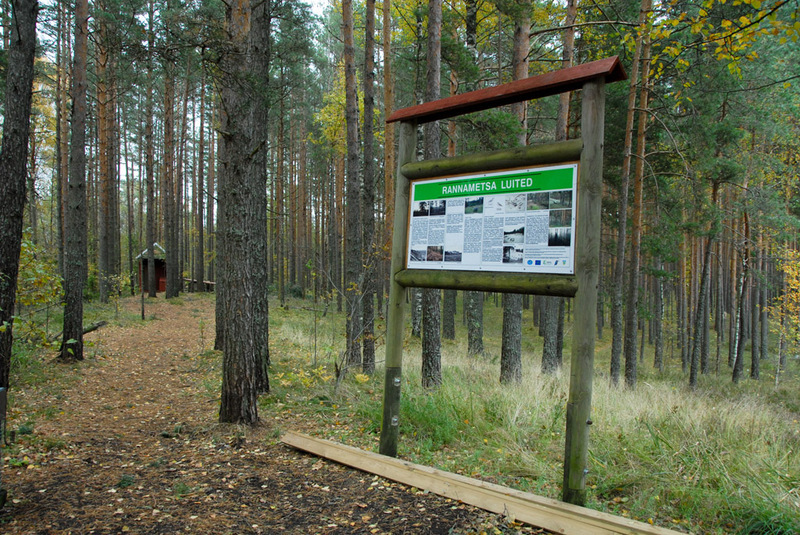 The circular 2.2 km trail, partly on boardwalk, is situated in Luitemaa Nature Reserve. At leisurely pace it takes about 1.5 to 2 hours to complete. 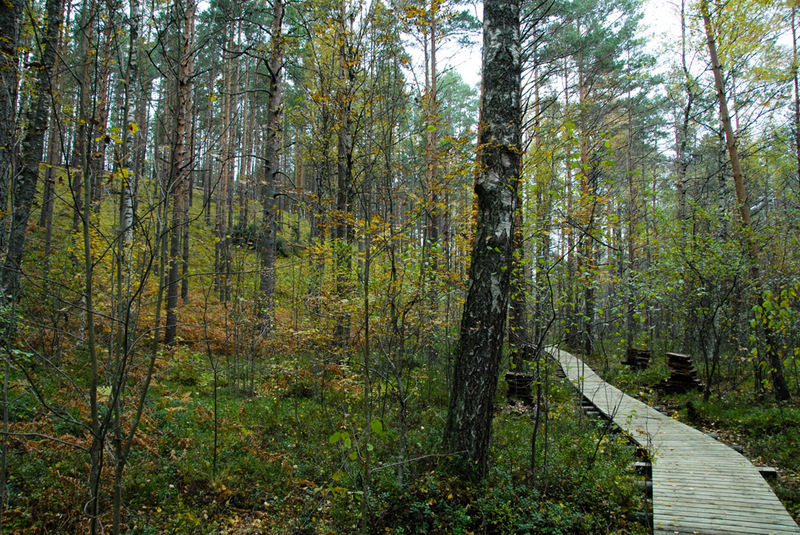 The trail winds through Tolkuse bog, across sandy dunes covered with airy heath pine forest and leads to Tornimägi hill. 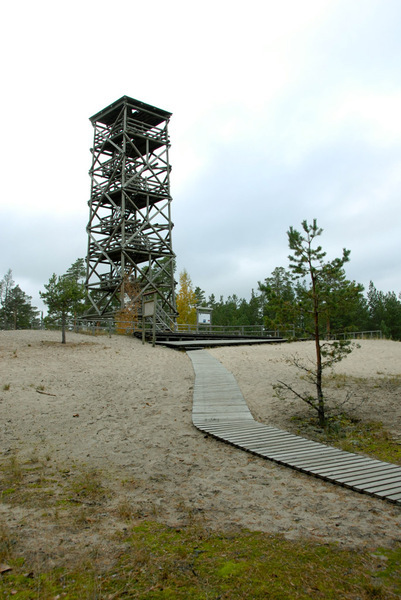 There’s an 18 m high observation tower on top of the hill, offering stunning views of Häädemeeste coastal meadow and the Pärnu bay from one side and the Tolkuse bog from the other side. Parking facilities Parking for 10 cars or 3 buses. Amenities There is a large information board introducing the nature reserve at the start of the trail; the trail is of medium difficulty level and runs in a loop and partly on boardwalk. 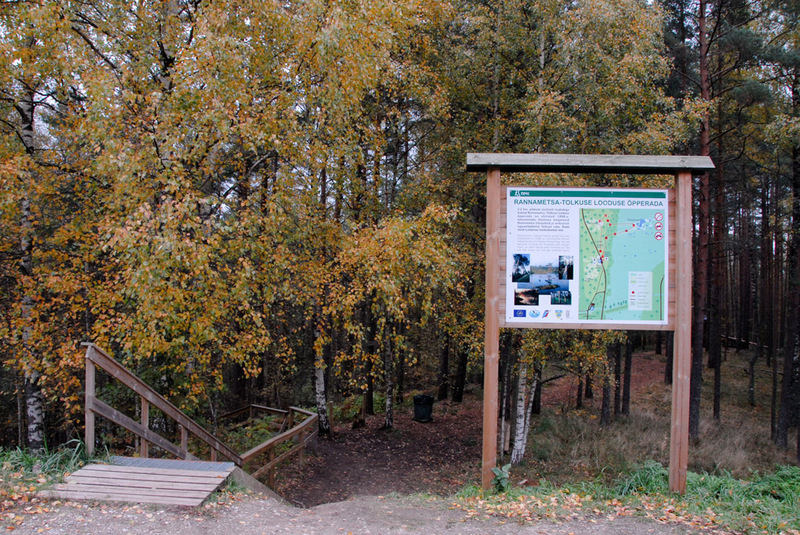 Information boards with descriptions in Estonian and English, observation tower, dry toilet. Campfire site Tõotusemäe campfire site on the other side of the road. 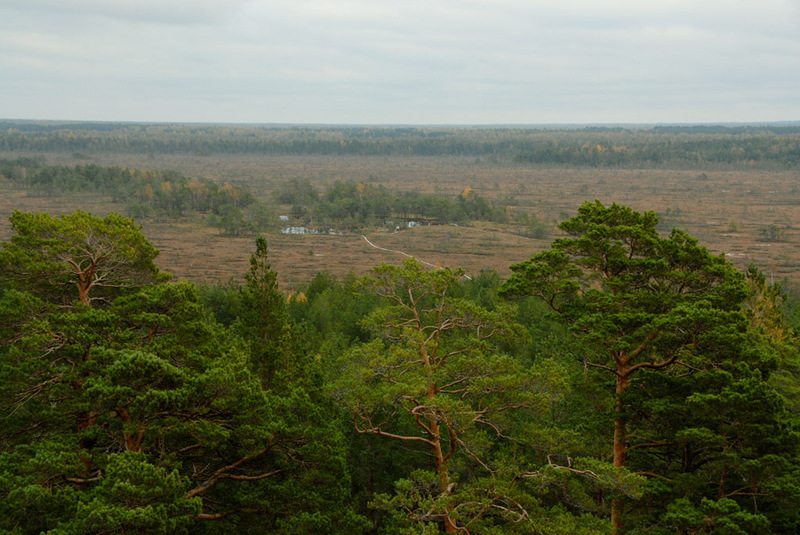 Sights Dunes of the coastal forest, Tolkuse bog, channel Timmkanal and its outcrop, Luitemaa Nature Reserve. The upper platform of the Rannametsa observation tower rises 18 m above the sea level. 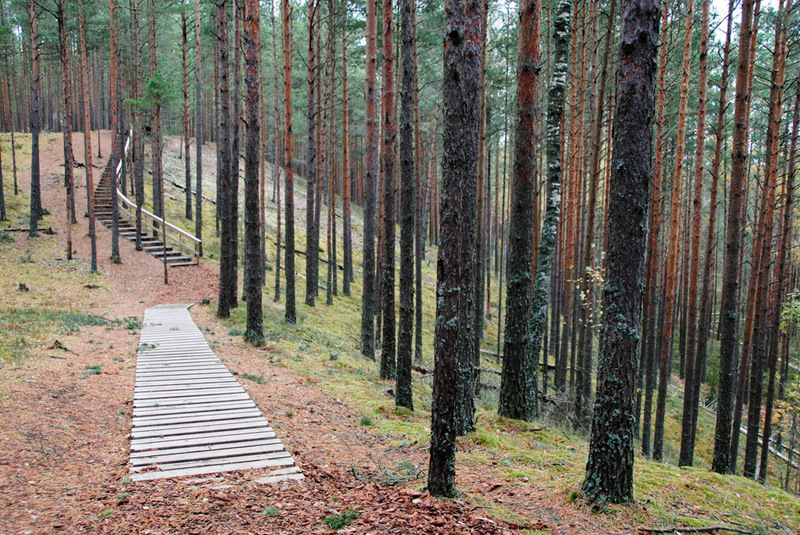 Adding the 34 m height of the Tornimägi hill, the visitors will be more than 50 m above the sea level. The study trail leads to the largest bog pool, where the water lily, bog bean and dwarf water lily grow. Along the boardwalk you can spot sundews, beak-rush, tussock cottongrass and sphagnum mosses of various colours. Winter accessibility The parking area is accessible by car; the study trail is not kept clear of snow. Restrictions The study trail is situated in the Luitemaa Nature Reserve, information about restrictions can be obtained from the Environmental Board (+372 447 7388, info@keskkonnaamet.ee). Location Häädemeeste municipality, Pärnu County. 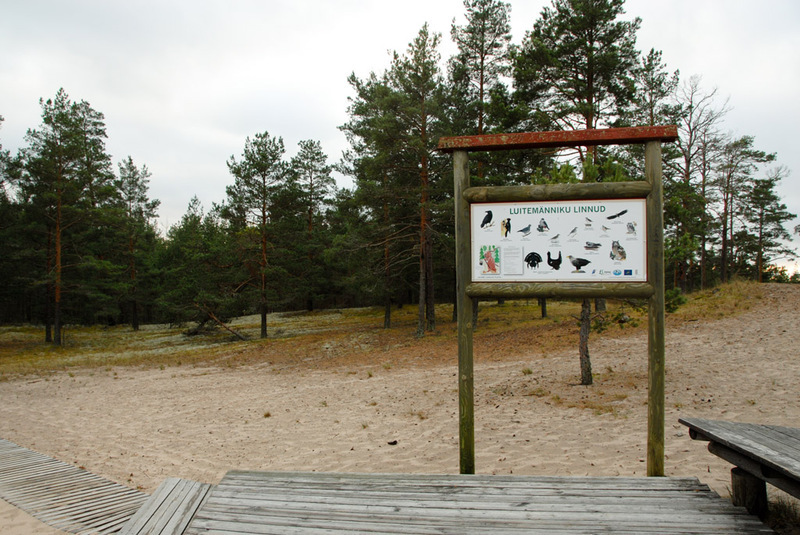 The trail starts at the information board in the parking area, 162 km on Tallinn–Pärnu–Ikla road. Object no 19 on the recreation area map. Driving directions Drive 162 km on Tallinn–Pärnu–Ikla road to the parking area. The trail starts at the information board to the left of the parking area.